Update: 2017-01-07 LightWallet is no longer being maintained, and is expected to stop working after the upcoming hardfork enabling RingCT. Please use the official GUI for now (which also works with a remote node), or wait for another third party GUI by Jaxx or someone else to be released soon. 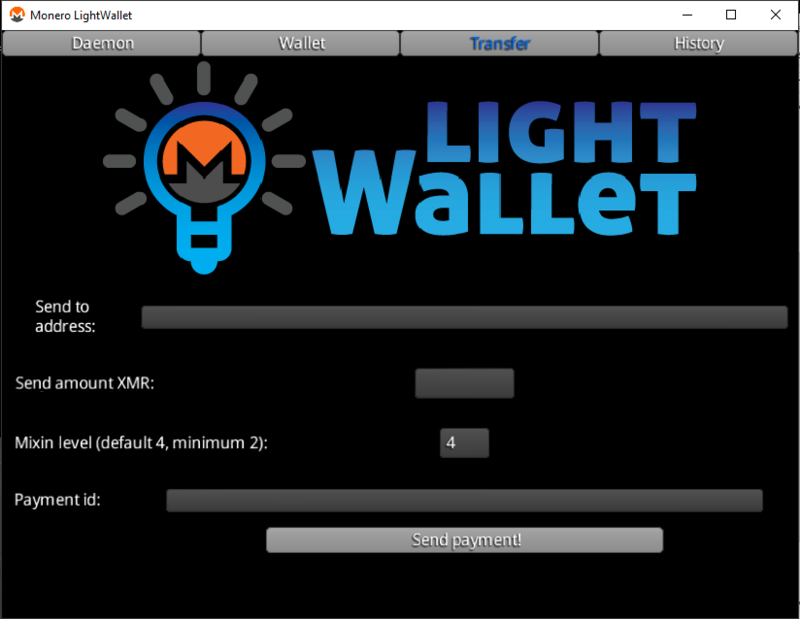 LightWallet is a lightweight GUI wrapper for simplewallet written in Java using the Libgdx library. The source code is available here: https://github.com/jwinterm/LightWallet2 Please check out the README.md file here if you are going to test it out. The release binary can be downloaded here: https://github.com/jwinterm/LightWallet2/releases I think the jar file should work on any computer with a java virtual machine, and exe is just for Windows. You need to have simplewallet and necessary dlls in the same folder as LightWallet to run the program. In this release the language is automatically selected as English. Hi people! 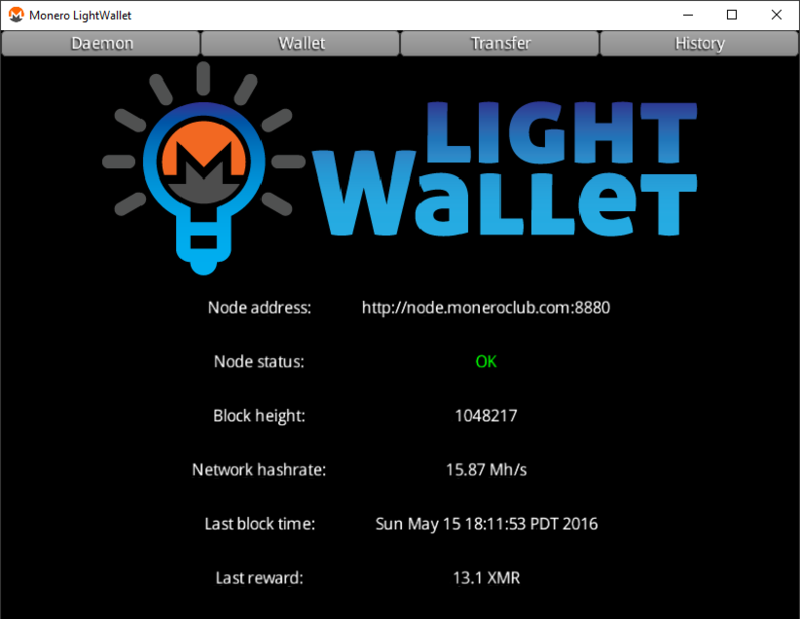 I downloaded Monero light Wallet but when I try to run it is not anything going on. A site virustotal generally defines a virus in this file. What should I do? I'm currently trying to run the light wallet but I am facing some problems. One of which is that no matter if I'm connected with a server to get the blockchain or locally the client states that I have none out of the total blocks synced, how can I fix that? That's odd. Just to check, to do you have a copy of simplewallet in the same folder as lightwallet? Yes, but since I'm really new to cryptocurrencies feel free to ask anything since the reason for the error will probably be a dumb mistake due to lack of experience. Hi, trying to start using the lightwallet with win10x64 with latest java and updates but when clicking the .exe nothing really happens. Like it tries to run it but closes immediately. Cant even see what happens in the process. Help?? I just posted in the support form the problem I'm having with LightWallet. In short, it won't create a wallet for me in either Windows or Java. What do you mean in Windows or Java? The latest version has no exe file, so you have directly run the jar file. 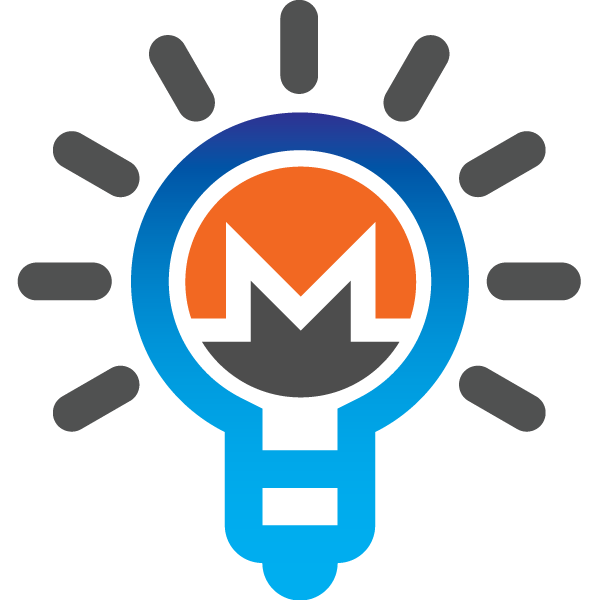 Also, latest version comes bundled with monero-wallet-cli, so make sure you extract them both to the same directory. 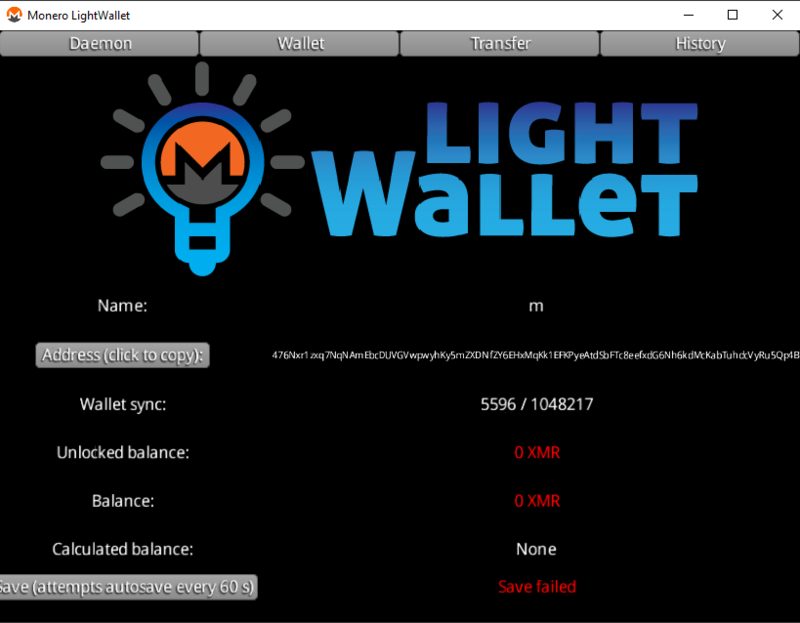 Since in the new 0.10.0 release simplewallet has been renamed to monero-wallet-cli LightWallet2 will have to be updated to continue to work as a GUI?